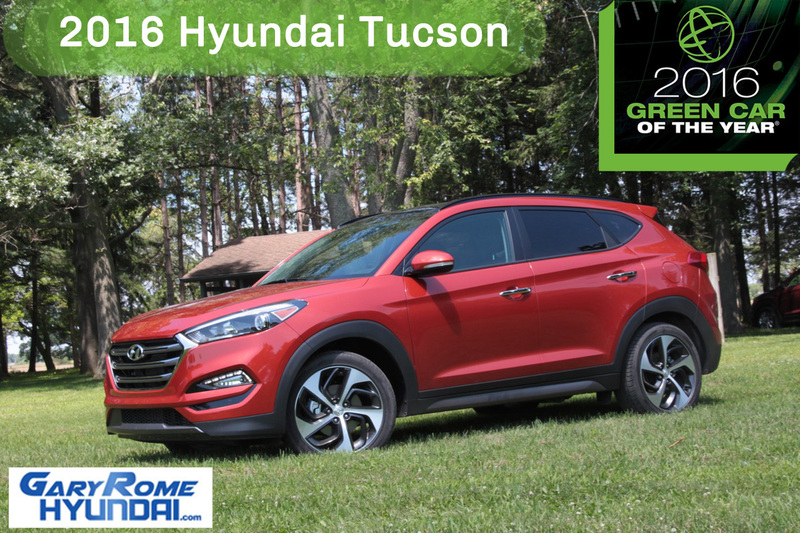 Green Car Journal has named Hyundai’s all-new 2016 Tucson a finalist for the 2016 Green SUV of the Year™ award. Each year, five finalists are considered for the award, an honor that recognizes the most fuel-efficient SUV/crossover vehicles and the environmental leadership they bring to the auto industry. The 2016 Green SUV of the Year™ winner will be announced at next year’s Washington Auto Show on January 21, 2016. Green Car Journal’s vetting process considers a wide range of SUVs and crossovers to determine their environmental advantages and breakthroughs, and then narrows the field to five finalists. The overarching goal is to identify nominees that move personal transportation in a more environmentally positive direction without sacrificing the joy of driving or the functionality expected of an SUV or crossover. Fuel efficiency, weight reduction, advanced drivetrain technologies, use of alternative or clean fuels and more are considered during the process. Finalists must be available for sale by January 1st of the award year. The all-new Tucson comes with a choice of two engine and powertrain options. Base models offer Hyundai’s 2.0-liter, direct-injected four-cylinder engine with 164 horsepower and 151 lb.-ft. of torque, coupled with a six-speed automatic transmission. Eco, Sport and Limited models offer Hyundai’s new 1.6-liter, direct-injected, turbocharged four-cylinder engine. This new powertrain is mated to a first-in-segment seven-speed EcoShift® dual-clutch transmission (DCT), which offers quick, efficient shifts and even better fuel economy. The Tucson is offered in both FWD and AWD variants.